The situation could change but lower-than-expected returns for two early runs means there's no fishing allowed on Fraser River sockeye, the regulatory panel decided Tuesday. The Fraser River sockeye salmon fishery will remain closed for now, the Pacific Salmon Commission's Fraser River Panel decided Tuesday, after lower than expected returns from two early runs. "The initial testing we've been doing and assessments are indicating [returns are] not very good at all," said Mike Lapointe, chief biologist of the Pacific Salmon Commission. 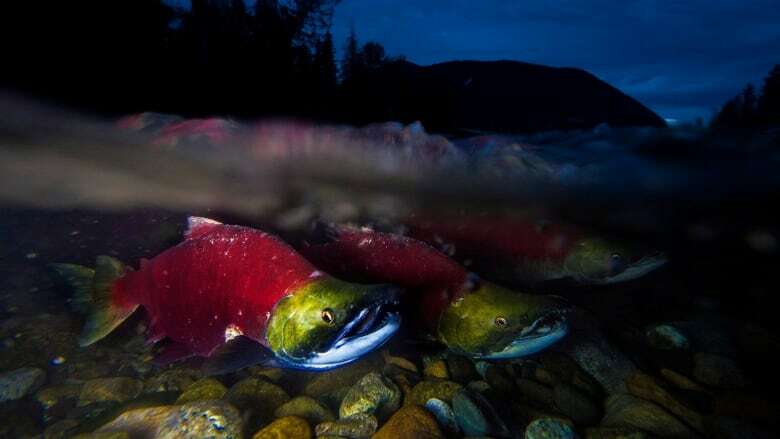 So far, only the early Stuart and early summer Fraser River sockeye runs have been assessed, which represent only a small fraction of all the sockeye expected to return to the Fraser this summer. That means things may improve with larger, later runs, but it's not a good sign, said Lapointe. "It can very much change ... it doesn't look good right now." 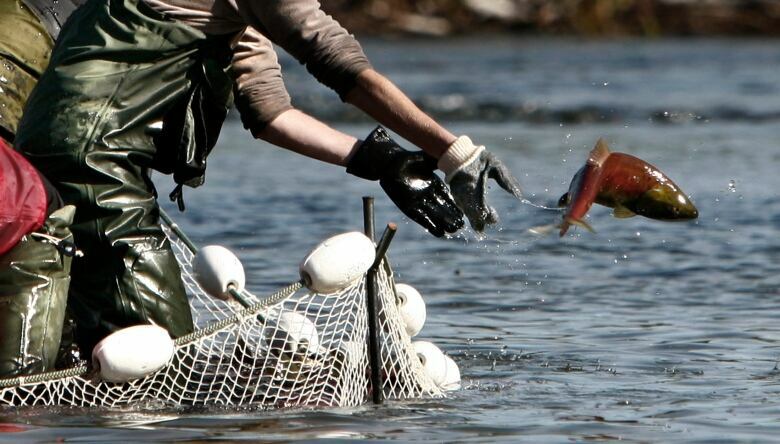 This year had been forecast as an improvement over last summer's record-low sockeye salmon returns, when fishing remained closed on the river. It's not known why returns are low so far, but Lapointe said a "leading hypothesis" is warmer ocean temperatures two summers ago — otherwise known as "the Blob." 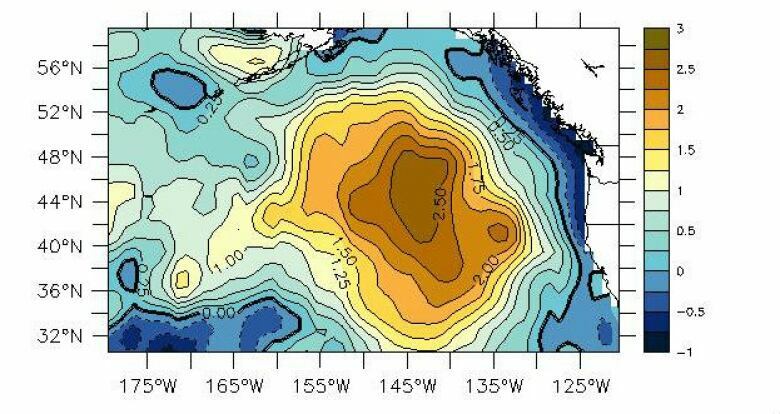 That catchy nickname refers to a zone of warm water, up to 3 C warmer than average temperatures, that made headlines in 2015. It's likely the salmon returning to the Fraser now would have hit the Blob in the Gulf of Alaska that summer — as two year old fish — and suffered mortality as a result, said Lapointe. The Fraser River Panel will meet again this Friday and continue its assessments as the larger early summer run starts its migration. "I hope it does change for the positive," said Lapointe. "But you have to be realizing there are a bunch of these fish that are somewhere between the Gulf of Alaska and the Fraser River and we don't know how many there are, and we've got to be honest about that." Even in a good year, it's a complex job to decide the total allowable catch of a species like sockeye salmon, with many interests competing for a piece of the pie. Before considering human needs — including Indigenous food, social and ceremonial fishing — biologists have to figure out what the salmon need to keep the populations healthy, accounting for expected mortality along the way. This year, with only about half of the expected fish returning, there doesn't seem to be enough pie. "You have to have a big enough piece of pie to split it up at all," said Lapointe. "Right now, the pie is being saved for escapement and whatever conditions the fish may face in the river, if they have difficulty migrating upstream." The Fraser River itself has "extremely low" flows for this time of year, near historic minimums, said Lapointe.